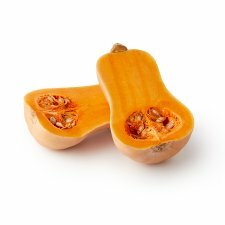 A nutty and sweet vegetable similar to pumpkin. Ideal for roasting in halves and filled with chilli for a warming evening meal. Cut in half and scoop out seeds. Roast until tender and then remove flesh from skin to use in recipes as required. Or peel raw using a vegetable peeler and cut and cook as required. For maximum freshness, store in a cool dry place. Wash before use. Use within 14 days of purchase.